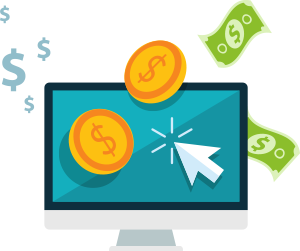 Running pay-per-click (PPC) ads for your ecommerce business can drive significant traffic to your site and increase your revenue, but if you’ve never delved into the world of PPC before, you may not know where to begin—or how to deliver a return on investment. Fortunately, Leverage Marketing does. Our experience running PPC campaigns for a wide variety of B2C and B2B clients makes us well-prepared to serve as your offsite PPC marketing department, whether you are just starting your ecommerce company or looking for ways to boost your online sales after years in business. When you choose Leverage Marketing to work on your PPC campaigns, we won’t just give you a pre-packaged deal. Through in-depth keyword research, we identify the keywords that are most relevant to your products and audience and most worth bidding on. We continue to track all your keywords so that we can eliminate any low-performing ones and replace them with ones that will deliver a better ROI. We also do a lot more than just getting you started with text-based PPC ads. We will alter copy and strategically update ads around seasonal peaks for your business in order to present compelling offers to your potential customers. We use Shopping Ads to place visually-appealing product photos and prices at the top of relevant search engine results pages. We use dynamic remarketing to serve ads to people who have already viewed one of your product pages, keeping your brand top of mind and encouraging shoppers to buy. Want to learn more about how we can tailor PPC strategies to your ecommerce business? Let’s talk.